I’m ready to start my next hand quilting project. 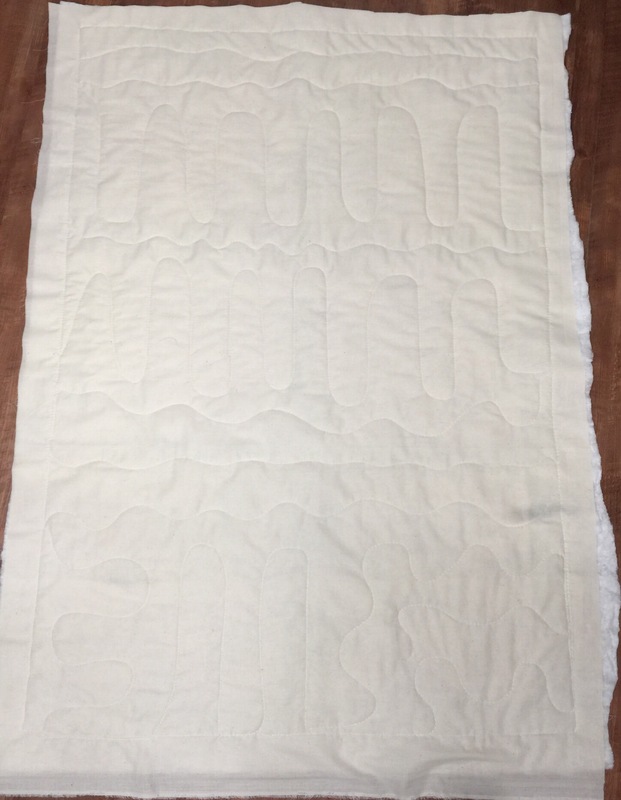 I have this vintage crib quilt top back together and basted for hand quilting. I found a package of Mountain Mist Blue Ribbon batting in my stash. I’m not sure they make this anymore. It is 100% cotton with no resins or needle punching to hold it together. That means close quilting is a must. This is what theback looks after basting. I like to use plain old fashioned muslin for backing these vintage pieces. Now to figure out how to quilt it. I don’t like marking these old tops so whatever I do, it will be freehand. You are treating this with the respect it deserves. Will be a sweet little quilt. Don’t you just love starting the quilting on a new project?!?! The beginning and the end are my favourite parts! What a sweet little project! I love using muslin on backings and as sometimes as backing on quilts with alternative blocks. It hand quilts up so nicely! Hand quilting is the perfect way to visit each of those blocks as you sew! 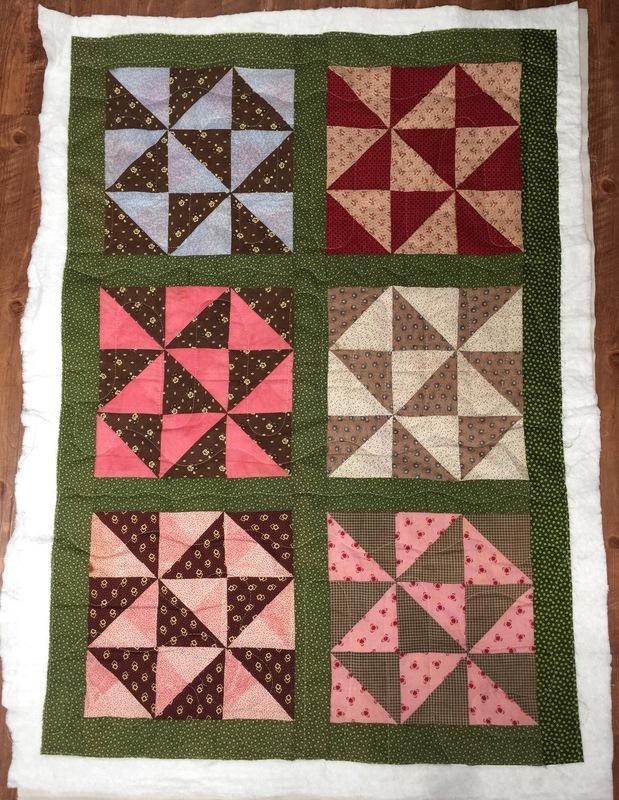 Katy, I am looking forward to seeing what you decide to do for quilting this one….I agree that the muslin is perfect for backing…it just goes with these vintage tops…stays true to the era! Happy stitching! We are having a cool, rainy day in Virginia…. Perfect for slow stitching! I too like to use plein fabrics such as calico for the backing. The quilting Where by had or machine comes into its own So Beautifully when using the plein fabric…..
Lovely old piece, Enjoy watching these little treasure being hand quilted.